PAWHUSKA, Okla. (May 6, 2016) – Ten years ago on this day a new document was signed into law changing the form and direction of the Osage government. This morning, Principal Chief Geoffrey Standing Bear signed a proclamation declaring this day, “A day of remembrance of the founding of the Osage Constitution.” A formal announcement was issued to the employees of the Osage Nation and to the other two government branches, the Legislative and Judicial branches. The Osage Nation also currently recognizes March 11 as Osage Sovereignty Day because it is the day the Constitution was ratified. The process to reform the Osage government began in 2004 garnering broad academic interest including a book by Osage citizen, anthropology professor and author, Dr. Jean Dennison, PhD, “Colonial Entanglement: Constituting a Twenty-first Century Osage Nation.” Dennison’s book, by an Osage about Osages, chronicles the reform process. Also at the center of the push to reform the previous form of government was the need to have a one vote per citizen election system. For almost a century, Osage elections for government seats were determined by a shareholder system. The right to vote required an individual to have inherited a fraction of a whole share, and in most cases, inherited from a deceased parent. Today, under the new Osage Constitution every Osage citizen who is enrolled and is 18 years or older has the right to vote in every Osage election. 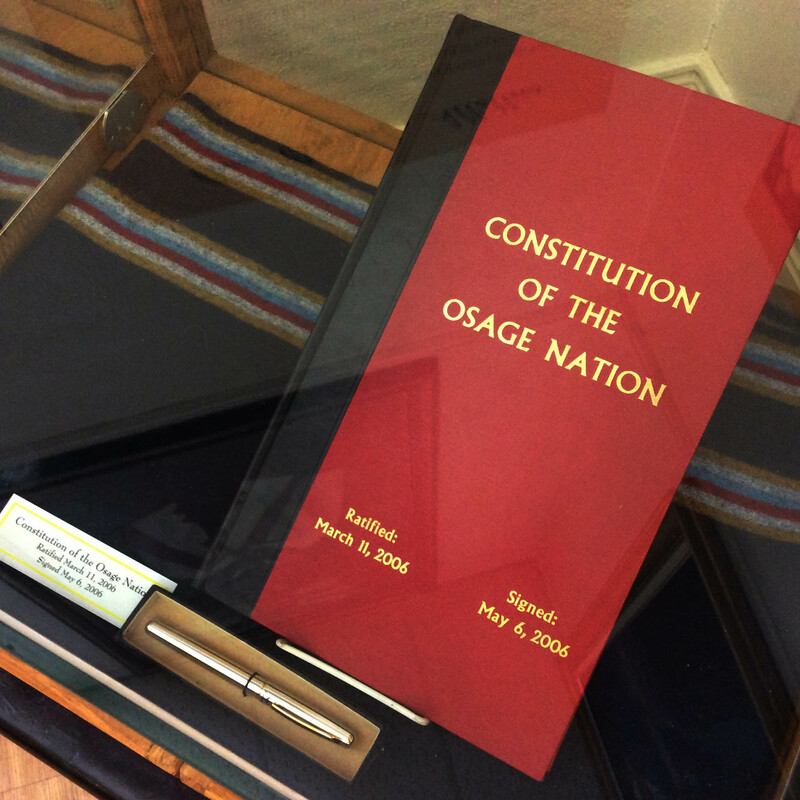 The original Constitution is located at the Osage Nation Office of the Chiefs in its display case. The original signers of the Constitution were the members of the Osage Government Reform Commission, the 31st Osage Tribal Council, then Assistant Principal Kenny Bighorse, Sr., and then Principal Chief Jim Gray. The Proclamation in its entirety and more information about the Osage Nation Government is available online at www.osagenation-nsn.gov.